Should International Bureaucracies Get Taxing Powers or Direct Funding? Over the years, I’ve strenuously objected to schemes that would enable international bureaucracies to levy taxes. That’s why I’ve criticized “direct funding” proposals, most of which seem to emanate from the United Nations. A scheme to let the United Nations tax services such as air travel. A proposal, pushed by George Soros and other statists, for U.N. taxes on things such as energy use. And, of course, the favorite of the big-government crowd, a global tax on financial transactions. Interestingly, the American left is somewhat divided on these schemes. House Democrats have expressed sympathy for global taxes, but the Obama Administration has come out against at least certain worldwide tax proposals. 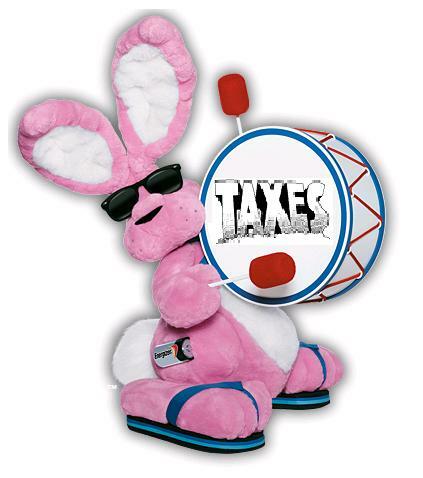 Unfortunately, proponents of global taxes are like the Energizer Bunny of big government, relentlessly pushing a statist agenda. If the world economy is growing, it’s time for a global tax. If the world economy is stagnant, it’s time for a global tax. If it’s hot outside or cold outside, it’s time for a global tax (since “global warming” is one of the justifications for global taxation, I’m not joking). Given this ongoing threat, I’m glad that Brian Garst of the Center for Freedom and Prosperity has put together a two-page Libertas explaining why international bureaucracies should not get taxing powers or direct funding. …it would be imprudent to give international bureaucracies an independent source of revenue. Not only would this augment the already considerable risk of imprudent budgetary practices, it would exacerbate the pro-statism bias in these organizations. …The issue of taxing powers and direct funding has become an important issue because international organizations are challenging the contribution model and pushing for independent sources of revenue. The United Nations has been particularly aggressive in pushing for global taxes, seeking to expand its budget with levies on everything from carbon to financial transactions. Another subsidiary of the United Nations, the World Health Organization (WHO), is also looking to self-fund through global taxes. The WHO in 2010 publicly considered asking for global consumer taxes on internet activity, online bill paying, or the always popular financial transaction tax. Currently the WHO is pushing for increased excise taxes on cigarettes, but with an important condition that they get a slice of the added revenue. The so-called Solidarity Tobacco Contribution would provide billions of dollars to the WHO, but with no ability for taxpayers or national governments to monitor how the money is spent. I have to give the left credit. They understand that few people are willing to defend tobacco, so proposing a global tax on cigarettes sounds noble, even though the real goal is to give the WHO a permanent stream of revenue. Brian explains, though, why any global tax would be a mistake. What all of these proposals have in common – in addition to their obvious intended use in promoting statist policies – is that they would erode the influence of national governments, reduce international accountability, promote waste, and undermine individual sovereignty and liberty. …Before long, international organizations will begin proposing – no doubt in the name of efficiency or reducing the burden on nation states – that affected taxpayers withhold and transfer taxes directly to the international body. This would effectively mean the end of the Westphalian system of sovereign nation states, and would result in a slew of new statist policies, and increased waste and corruption, as bureaucrats make use of their greater freedom to act without political constraint. He concludes by noting that a global tobacco tax would be the proverbial camel’s nose under the tent. Once the statists succeed in imposing the first global tax, it will simply be a matter of time before additional levies are imposed. National governments should not be fooled. Any sort of taxing power or direct funding for international bureaucracies would undermine national sovereignty. More importantly, it will further weaken the ability of people to influence and control the policies to which they are subjected. Moreover, once the first global tax is imposed, the floodgates will be opened for similar proposals. The point about fiscal sovereignty is also important. Not because national governments are keen to adopt good policy, but because nations at least have to compete against each other. Over the years, tax competition among governments has led to lower tax rates on personal and corporate income, as well as reductions in the double taxation of income that is saved and invested. Politicians don’t like being pressured to lower tax rates, which is why international bureaucracies such as the Organization for Economic Cooperation and Development, acting on behalf of Europe’s welfare states, are pushing to undermine tax competition. But so long as there’s fiscal sovereignty, governments will have a hard time imposing confiscatory tax burdens. Any form of global taxation, however, cripples this liberalizing process since taxpayers would have no safe havens.